Cleveland, Ohio, January 4, 2018	(Newswire.com) - New Leaf Recovery Center has opened in Cleveland, Ohio and its focus is the "Opioid Epidemic". Finding a recovery center that will accept you money and/or insurance isn't difficult, however, finding one that knows how to treat specific types of addiction and mental illness is. 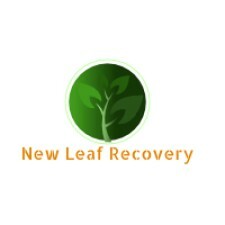 That is where New Leaf Recovery says they have the advantage. "While most centers put methamphetamine addicts next to alcoholics, we feel there needs to be a division among them. This is why we created a program that focuses on helping two types of people. First, opioid/heroin abusers and the second, alcoholics. Our program is specifically focused on these two areas of recovery." This smaller Cleveland recovery center doesn't have a lot of beds, which they say is helpful. In a phone conversation, a Representative said, "Having to many people in the same center causes issues. Not only with among the different personality types, but also from a level of care perspective. We want our clients to have more one-on-one therapy than group. The smaller size allows us to do that." We asked if they plan to expand after seeing successes as this would make sense, however as of now, they are referring out to other centers that they know have experience in treating opioid and alcohol addiction. "When we are full, we transfer all calls to other centers that we trust to do good work and have a track record to back that up."